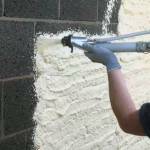 With any building project, the speed of installation is one of the vital issues. 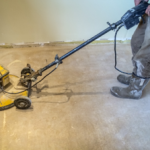 Installing a liquid floor screed is always going to be faster, but more importantly, the drying times are really fast in comparison allowing the project to move forward more quickly. 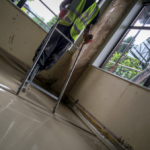 BS8204 states that standard screed drying times should be 1 day for every 1mm thickness, so a 50mm standard screed will take 50+ days to dry. Compare this to a liquid floor screed which in almost all cases can be walked on after 24 hours and force dried in under 7 days. This alone saves project delay and planning times allowing trades to work very quickly after the installation, allowing completion dates to be reduced, saving vast sums of money – time is money after all. 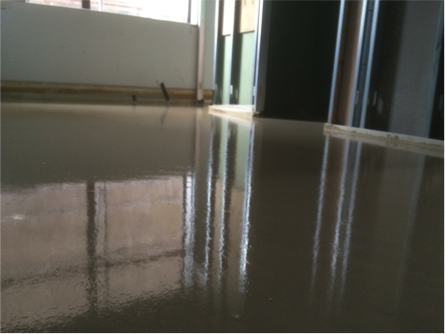 A traditional screed is generally installed as a thick layer to ensure no cracking or shrinkage occurs when dry. 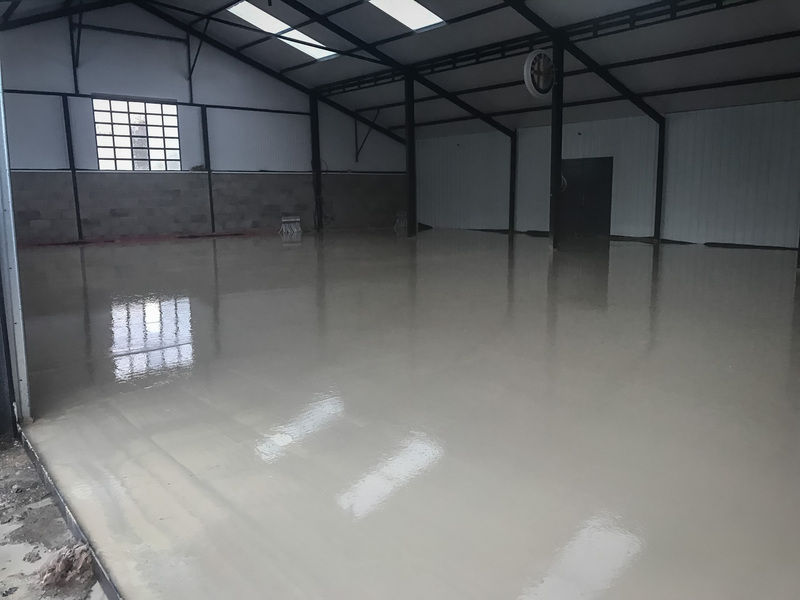 In comparison, liquid floor screed is generally a much thinner layer of material and due to its make-up, is stronger and more durable. 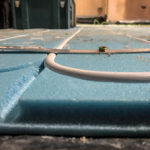 The other advantage of being a thinner layer is that the floor insulation layer can be thicker and so, therefore, more efficient in the long run. When installing underfloor heating systems, liquid floor screed is vastly superior compared to standard screed. 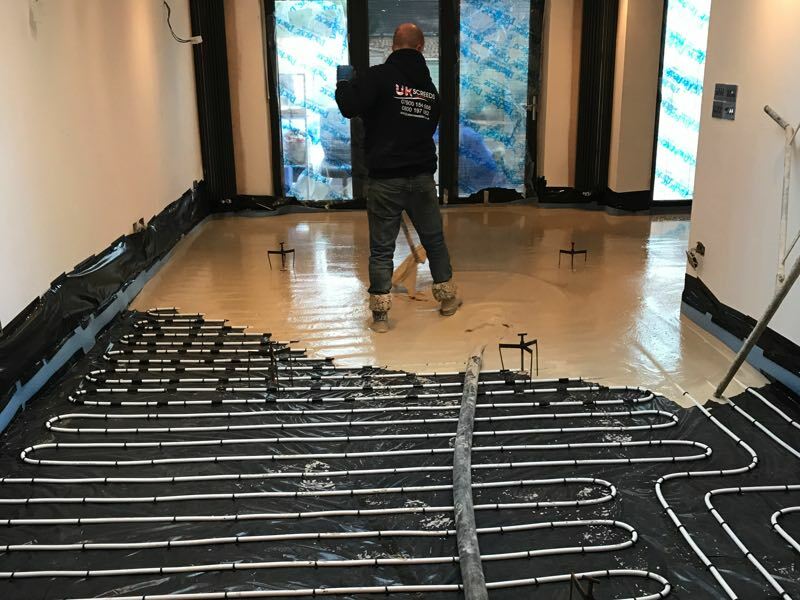 As the liquid screed is poured, it completely surrounds the heating tubes so no air gaps are present, thus conducting the heat more efficiently. 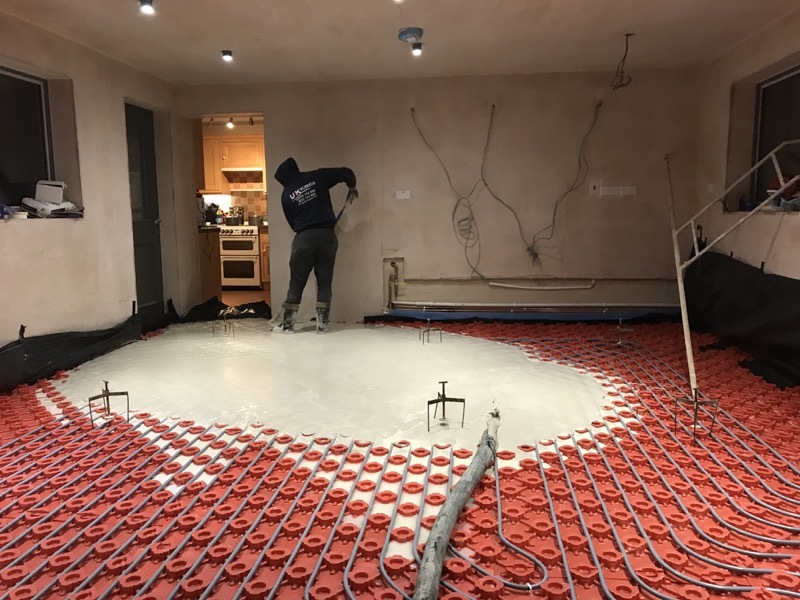 Traditional screeds can never surround the tubes as effectively, so heat transfer will be less efficient and overall the running costs of any underfloor heating system will be higher than when a liquid screed floor is installed. 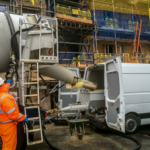 Standard screed materials and labour costs are arguably cheaper, however, you really need to think about the bigger picture of the overall project costs rather than the unit cost per square meter. 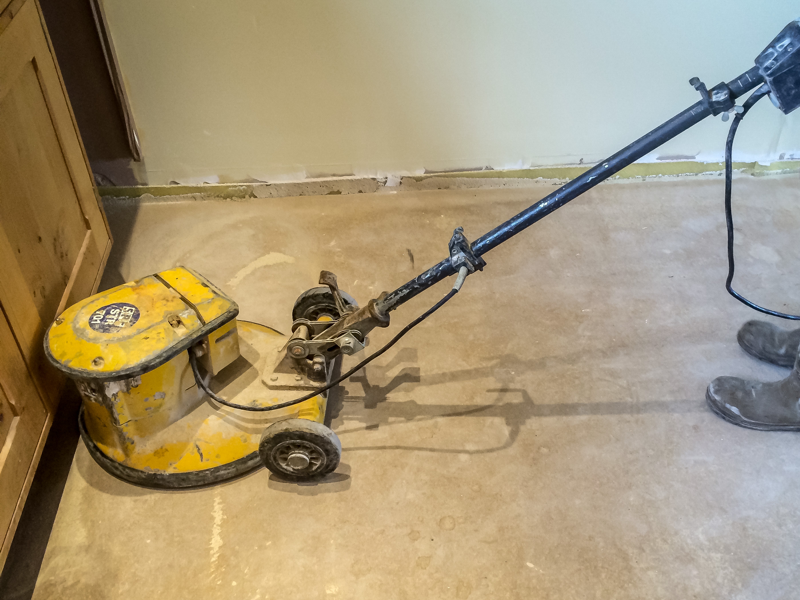 Yes on paper liquid screed will almost certainly work out more expensive but in the overall project it will work out more cost effective and help keep timelines for the project to a minimum. Hi I have a screed to do on my extension but the thickness is 11cm so what would be the best solution?